So, you have your boat that’s a hot tub. And your boat that’s a car. And your boat with a mounted gun. Now, enjoy your boat that’s also a quad. 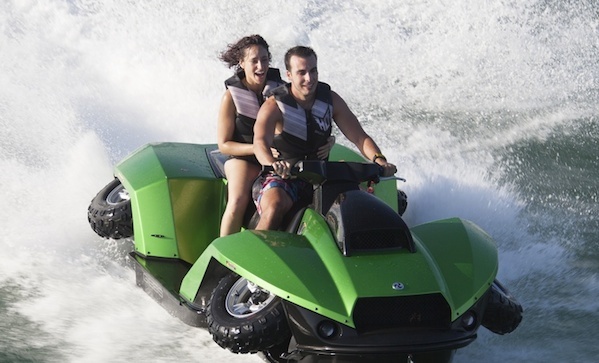 In water or on land, it’ll take you to 45mph, and it transitions in under five seconds with a push of a button. Know where we need one of these, besides real life? GTA V.